Where the Sidewalk Starts: Driverless cars will save the world! Okay, I don't really think that. But I do think they deserve more than a knee-jerk, negative reaction (see discussion here and here). Pedestrians (and planners, for that matter) tend to think of the car as their natural enemy, and it's true the car causes a lot of problems--for everyone, not just those who travel on foot. Does that mean we should reject any change in the technology that might continue to perpetuate an auto-centric world? Let's consider the costs of cars and private vehicle travel, and see what robo-cars might do to change them. According to CDC data about 30,000 Americans are killed in traffic crashes each year, at a cost of $41 billion. If that sounds discouraging, consider that over 90 percent of traffic deaths and injuries take place outside the US, killing 1.3 million people annually and injuring another 20 to 50 million. I probably don't have to tell you that pedestrians are disproportionately represented in those deaths and injuries, right? Driverless cars might not eliminate this problem entirely (the laws of physics still apply if someone darts in front of a car), but they have the potential to seriously decrease deaths and injuries from crashes. Imagine no more distracted driving, drunk driving, speeding, red-light running--or people cutting you off on the freeway. For me, this alone is reason enough to support further investigation into driverless technology. There are other health consequences from driving, of course. Air pollution from vehicles contributes to high asthma and cancer rates, particularly in neighborhoods near freeways. Driverless cars may have a small impact on this by reducing congestion, but the real benefits from pollution reduction will come from other technologies. And by making it easier to drive, robo-cars might contribute to the ongoing obesity problem in our country (and elsewhere). We shouldn't ignore their potential to create a new kind of lazy (car-potato? ), but I'm not convinced the obesity epidemic, with its myriad causes and solutions, is reason enough to reject robo-cars outright. Congestion costs Americans over $100 billion per year (not including associated health costs). As transportation experts have said for years, the best solution is well within our reach -- if only we could find the political will to implement it. 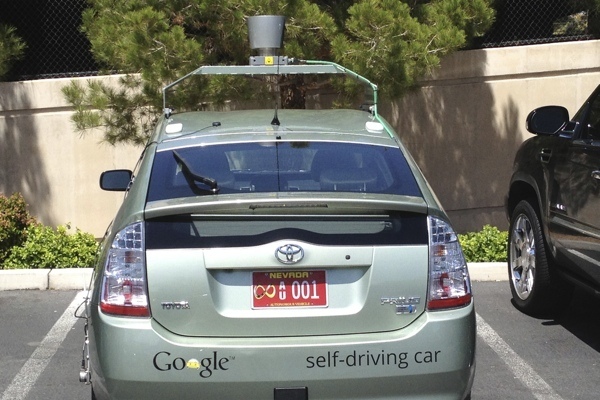 Until then we hunt for the second-best options, and driverless cars are one of them. They would remove most of the delays caused by crashes, and allow vehicles to travel faster and more smoothly. However, let's be clear: driverless cars would not solve the fundamental problem of congestion (namely, lots of people trying to get the same place at the same time on the same route). They have the potential to ease congestion by improving roadway efficiency, but they won't eliminate it entirely. Cars are perhaps most notorious for their contribution to environmental pollution, and that remains true regardless of who--or what--is driving them. Again, this is an area where robo-cars would likely have a minimal impact. Slight reductions in congestion could decrease some of the air pollution impacts of private vehicle travel, but many others (impacts to water quality, impacts from the production of vehicles) remain. As I said above, the biggest improvements to environmental quality won't come from robo-cars, and to the extent that they allow--or encourage--us to continue driving and we don't see considerable reductions to the environmental impacts of cars, then robo-cars are just as much of a problem as their non-robo counterparts. Compared to other types of transportation, cars take up a lot of space when they're on the road. They also take up a lot of space when they aren't on the road, in the form of vast (and often empty) parking lots (talk with the shoupistas for a more thorough discussion of how much that problem costs us). Beyond both of those issues, cars allow us to live further apart in less-dense communities that often eat up pristine and irreplaceable habitat. Implemented creatively, robo-cars might solve some of these problems. Imagine a vast robo-car-sharing network where instead of using "your" car to get around you just hopped in the next one that passed by, leaving it at your destination to serve another person (or sending it to pick up your kid fro baseball practice). Perhaps those space-hogging parking lots would become a thing of the past. Furthermore, with robo-cars doing the driving, roads wouldn't have to be so "forgiving" the way they are today. Lanes could be narrower, turn-lanes eliminated, shoulders replaced with parkways. That said, there would surely be consequences--probably ones we can't predict-- for the design of our cities. Would more people choose a longer commute if they could work along the way and let the car do the driving? Would the same incentives to live in a dense, vibrant community exist? Allowing the development of vast, unconnected communities spread out across the country could be one of the biggest environmental dangers that robo-cars present. As I've discussed previously, sidewalks give us the opportunity to interact with the world in ways that both enchant and challenge us. A insulated car trip just doesn't compare. With robo-cars shuttling us from door to door, we might miss out on opportunities for social interaction that we can't get any other way. This strikes me as another big potential danger of robo-cars, though it's worth noting that we don't seem to need cars to destroy public space. But robo-cars could also take us in a different direction, connecting walkable destinations and supporting the businesses that make them worth visiting in the first place. This recent study on retrofitting the suburbs to increase walking recommends a just such a strategy--minus the self-driving car part. Overall I believe that, used carefully and creatively, driverless cars have the potential to reduce many of the negative impacts of private vehicle travel. That doesn't mean we should stop advocating for walkable communities. At the end of the day--no matter who's driving the car--once we get out of it, we're all still pedestrians. Wouldn't that make robo cars sort of like taxi's if no one owned their own but only when they had to? I think it will work for some but there will always be those who want to own their own even though it might be more expensive. Yup, more like robo-taxis. And yes, probably some people will want their own. I guess that's okay, provided we work on addressing the problem of negative externalities associated with private vehicle travel/ownership.